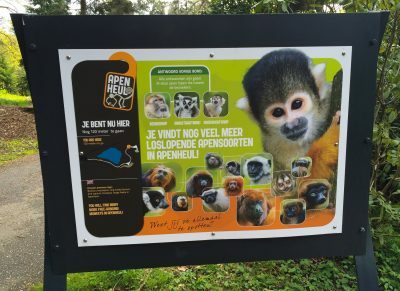 A sign near the entrance of Apenheul, explaining the many primate species in the park. In May, I spent a wonderful day at the Apenheul Primate Park, located about an hour by train from Amsterdam in Apeldoorn, Netherlands. Apenheul is a member of the European Association of Zoos and Aquaria, and opened in 1971 as the first zoo in the world where monkeys roamed free in forested areas and could also interact with visitors. 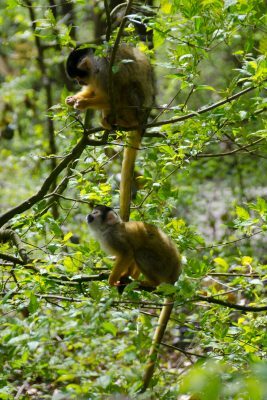 At first, Apenheul focused on South American primates (mostly woolly monkeys, spider monkeys, and tamarins), but as more people discovered the park, they expanded to include other monkeys, apes and prosimians, as well as birds and other creatures, now housing 70 species of animals. 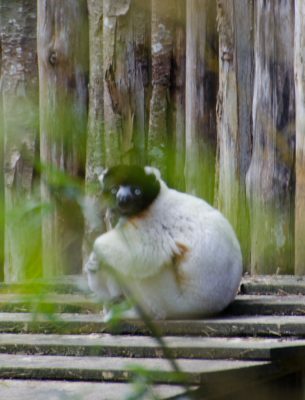 This includes 35 primate species and 7 species of lemurs—Alaotran gentle lemurs, crowned sifakas, ring-tailed lemurs, red ruffed lemurs, black-and-white ruffed lemurs, red bellied lemurs, and blue-eyed black lemurs—most of which are free-ranging. 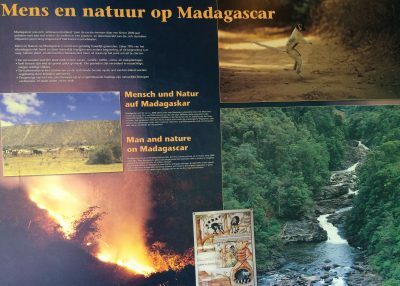 Large signage at the entrance of the Madagascar section of Apenheul. Visitors to Apenheul follow long, winding, wooded trails surrounding a lake, seeing and learning about the zoo’s animals along the way. The founder, Wim Mager, believed it was important to for the animals to be as free-ranging as possible so they could behave more like they would in the wild, and so visitors can see and appreciate their natural personalities and behaviors. In addition to being a zoo where visitors can see and interact with primates, it houses a research center and actively supports conservation worldwide through the Apenheul Foundation. The animals serve as ambassadors for their species, inspiring visitors to learn about them and protect their cousins in the wild. 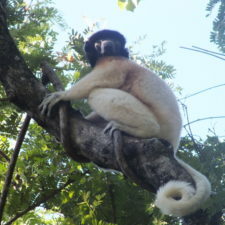 The crowned sifakas were a bit elusive, huddled together in an area not reachable by visitors. So pretty, though! 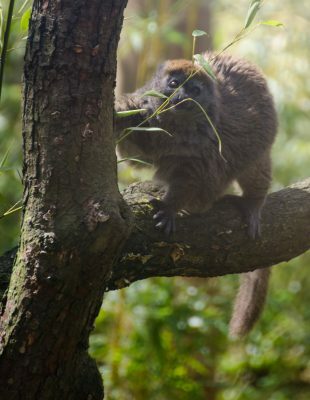 Alaotran Gentle Lemur munching on some bamboo and looking cute. 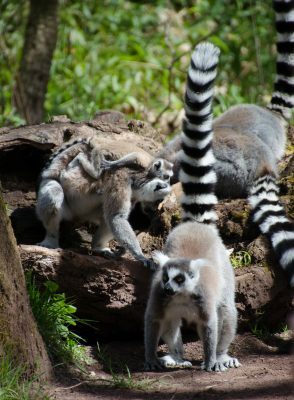 The ring-tailed lemurs were up to their famous silly antics, hopping around in groups, many with babies clinging to their fur. These squirrel monkeys were the first primates we encountered on our walk. A red-bellied lemur being elusive and getting as high as possible! 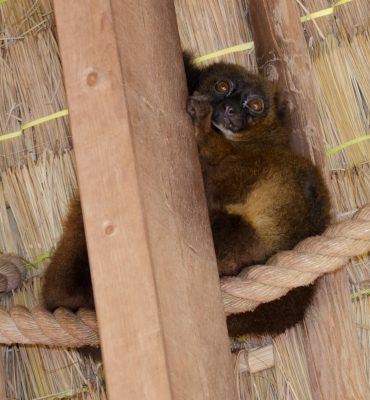 This lemur was free ranging but chose to sit in the rafters in this open air Malagasy-style hut. 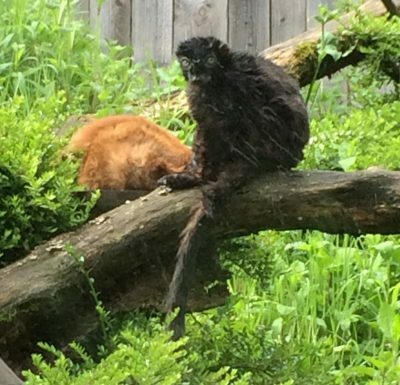 Two blue-eyed black lemurs at Appenheul. These guys were not in a free ranging area. There was a lot of educational material about how unique they are and how you can help them. The educational materials throughout Apenheul’s walking paths are impressive. Large displays educate visitors about the animals, their wild homes, threats they face (including deforestation, the illegal consumption of bushmeat, and the ownership of pet primates), and what conservationists are doing to protect them and their wild habitats. Educational materials in zoos provide a key opportunity to engage everyday visitors with the science and conservation behind the cute, the cuddly, and the beautiful. 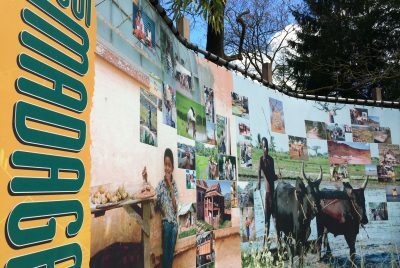 With strong education programs, zoos like Apenheul turn visitors looking for a fun day at the park into conservation advocates. Visitors are encouraged throughout the park to donate to the Apenheul Foundation and support conservation through text message campaigns and donation bins. Visitors learn about the specific programs the foundation helps on the front lines of conservation. 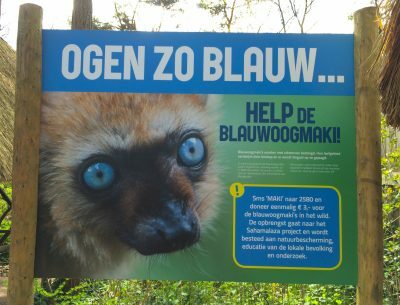 One example of the Apenheul Foundation’s conservation work is its support of LCN member AEECL and their work in Sahamalaza, Madagascar to save gorgeous blue-eyed black lemurs from extinction. Below is a sign in the park asking visitors to support this work. This sign encourages visitors to donate to help protect blue-eyed black lemurs in the wild. Many of the signs were in Dutch and English. One of many educational signs in Apenheul’s Madagascar section which discusses the threats lemurs face in the wild. 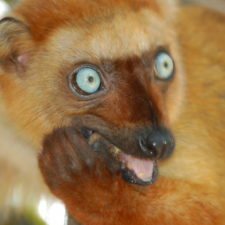 How can we all help protect lemurs and their habitat in Madagascar? Zoos provide everyday people like you and me the opportunity to see some of our Earth’s magnificent animals up close. Great zoos like Apenheul and LCN’s member zoos also help educate visitors about animals, how they are unique, where they live, the threats the face, and how conservationists are working tirelessly on the ground to protect them from extinction. 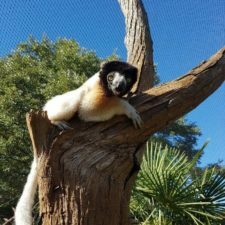 We can all help these conservation efforts by donating, volunteering, and sharing our love for lemurs and other animals with our friends and family. Be a spokesperson for the animals you love, and inspire others! 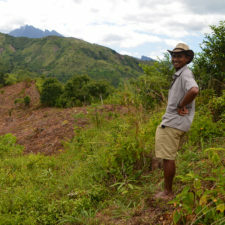 Visit the Lemur Conservation Network on Facebook and Twitter and share our updates with your friends and family! Find teaching resources to inspire kids to help lemurs!